If you plan on seeing the sights on foot, why not make your dog help too? Backpacking can be great fun, and provides you with some much needed exercise, especially if you're traveling to get away from winter. Instead of having to haul everything yourself, you can get some special dog gear for backpacking to ensure your dog helps and is also comfortable. 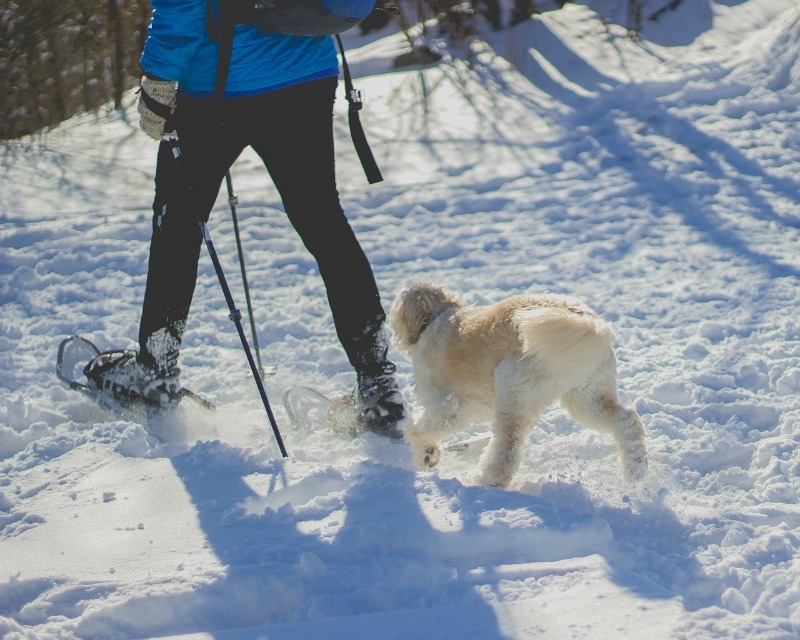 Much of this gear includes saddle bags so that your dog can carry around his own gear, but it also includes special booties that protect your dog's feet against sharp rocks and sticks that can cause injuries. Backpacking harnesses and leashes are also built to be tougher to endure the harsh conditions of Mother Nature, while still being breathable so your dog won't overheat during a grueling hike. There are even water bottles and feeding bowls especially built for backpacking that are light and fold down into a compactible size, making it easy for you to carry everything that you need. If you're choosing to fly overseas, then it's important to know that not all dog breeds are allowed to fly. Dogs with short noses, such as pugs and bulldogs, are known to have increased breathing difficulties when on a plane, so some airlines do not allow them. It's important that you call ahead first to see what the regulations of your chosen airline are. Secondly, your dog's breed can determine whether your pet can be carried on the plane with you or should be checked in the cargo area. Typically, small dogs that are smaller than 25 pounds and can fit into a carrier are allowed in the cabin with you, while larger dogs must be checked in the cargo area in a crate, with an added source of drinking water. Before you travel anywhere, you have to ensure that your dog is up-to-date on all of his vaccinations. This is especially important if you're flying to a different country, as they will ask to see your dog's vaccination record, and if it's not up to date, your dog may be kept in quarantine for up to 14 days. That's a long time for your pooch to be by himself while you're sunning yourself on the beach. However, you can skip all this by taking a trip to the vet a few days before you're scheduled to leave to make your trip flow more smoothly. It's also important to be sure that your pet is healthy enough to travel. Who wants to take care of a dog with stomach issues throughout their entire trip? It can put a damper on everything, and it's not really fair to your dog either. While you're taking care of your dog's vaccinations, it might not hurt to have the vet look them over to see if they're healthy enough to travel. But don't be discouraged if your dog does get sick during your journey. Some dogs are known for getting car sick, and you can minimize this by conditioning them to car rides or getting some nausea medication from your vet. On the off chance your dog gets sick from something else, it's a good idea to have a special first aid kit to take care of your dog's maladies when they arise, such as wound powder and bandages. 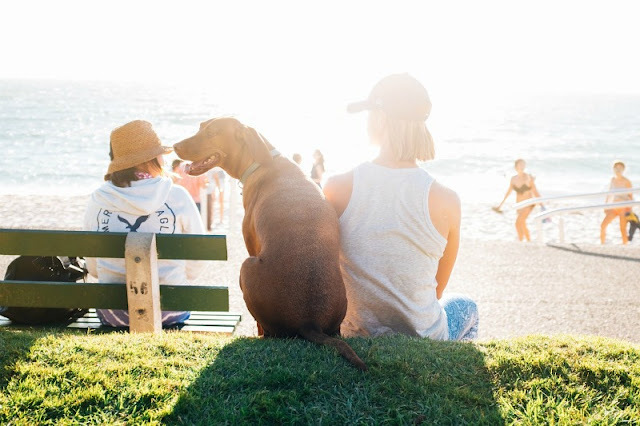 Sometimes accidents do happen and your pooch may not end up on the same connecting flight as you. To ensure that your dog doesn't get lost, be sure to label his crate with your contact information and do this on as many sides of the crate as possible. Also include the name of your dog so that airport agents can connect you to your dogs name. You want to ensure that if the worst does happen, someone has a way of contacting you and letting you know where your pooch is. If this is your dog's first time traveling, then be prepared to have him act out. Your dog will seem a lot more nervous and confused about what's going on, and it's your job to ensure that he remains as calm as possible. If you're not sure whether your dog is a nervous traveler or not, there are some steps you can take to ensure that he remains calm throughout a majority of the trip. Thundershirts are great accessories that provide constant, even pressure to your dog that reduces his anxiety levels. Natural methods such as essential oils and herbal teas can be provided to your dog to keep him calm too. You can apply lavender or chamomile oil to a favorite stuffed to or to your dog's collar. In tea form, chamomile and valerian are extremely safe to give to your dog. Valerian root is even provided in pill form, so you can pop one into your dog's mouth with a healthy spoon of peanut butter before your trip. 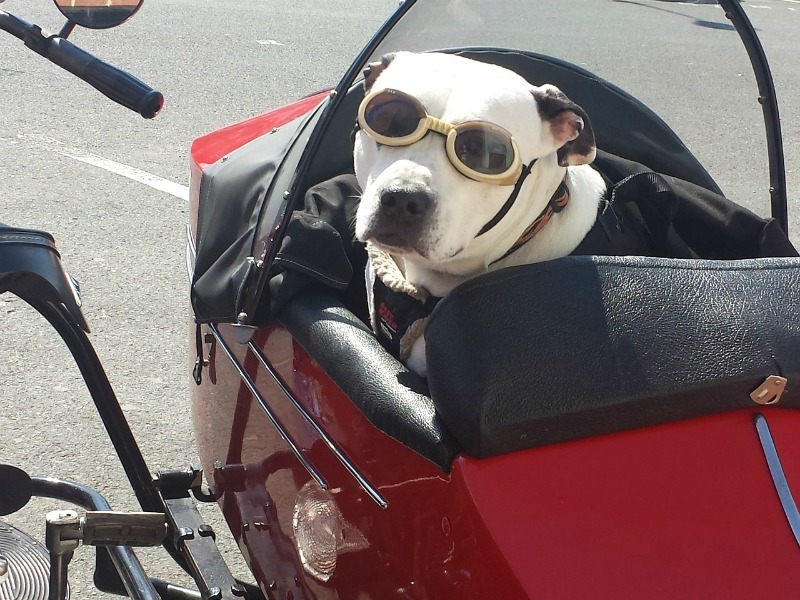 It's important to know if your destination is particularly friendly towards pet dogs or not. Some methods of public transportation won't allow them, unless they're in a crate or muzzled. Not all hotels allow pets either, so you can only book your stay at establishments that do. Having your pet with you does minimize your options somewhat, and you will have to spend a little more money to have them stay with you. It's a big decision to make, and you have to be sure that it's the right one to make when it comes to your wallet. Also, please remember to bring a healthy supply of poop bags with you. No one wants to clean up after your dog. Rebecca lives in the USA, but loves hiking all over the world. Her favourite is Everest Base Camp Trek in Nepal. It usually takes 16 days, but she likes to slow down, enjoy the mountains, the company of other adventurers and take more pictures. Another of her passions is the ocean, so all short and long hikes along the ocean shore bring a lot of joy. She also writes for HikingMastery.com.